Tyršovo nábrežie (Tyrš riverbank) – capacity of 250 passenger cars and 30 buses. ŠKP Dúbravka football stadium – capacity of about 295 passenger cars and 25 buses. Zlaté piesky (Golden Sands) – capacity of about 350 passenger cars and 30 buses. 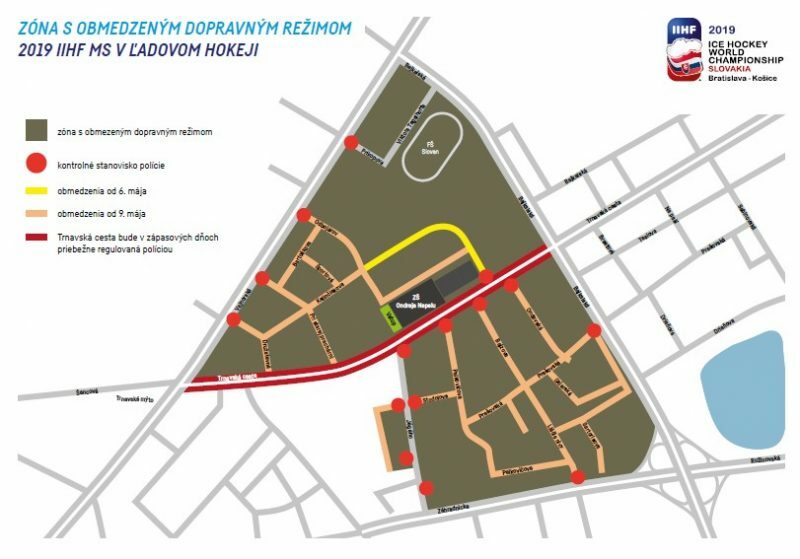 Former Technical Services of the City of Bratislava/Technical Street – a shuttle service to the stadium will be operated from this parking lot. The capacity of the parking lot is about 250 passenger cars. A parking lot under the Ondrej Nepela Winter Stadium will not be available to the public. Fans can park in any other paid parking lot (please observe the rules of parking lots). Shopping centers all over Bratislava also offer paid parking lots. All visitors with a valid ticket to the 2019 World Championship are entitled to free public transportation on the day of the match they have purchased the ticket for. More frequent departure of public transportation lines from the bus stops near parking lots. 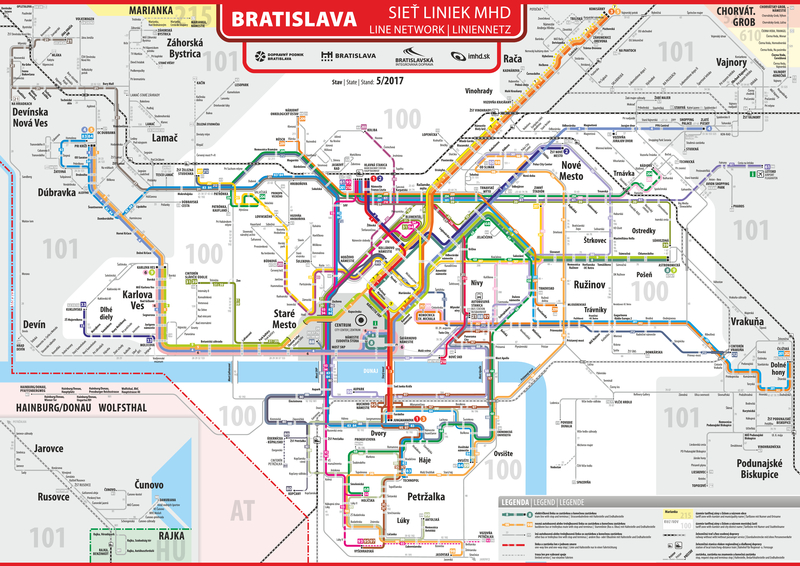 From the Central Station and from Bratislava-Nové Mesto Railway Station. There will be a shuttle service from the parking lot on Technicka Street. 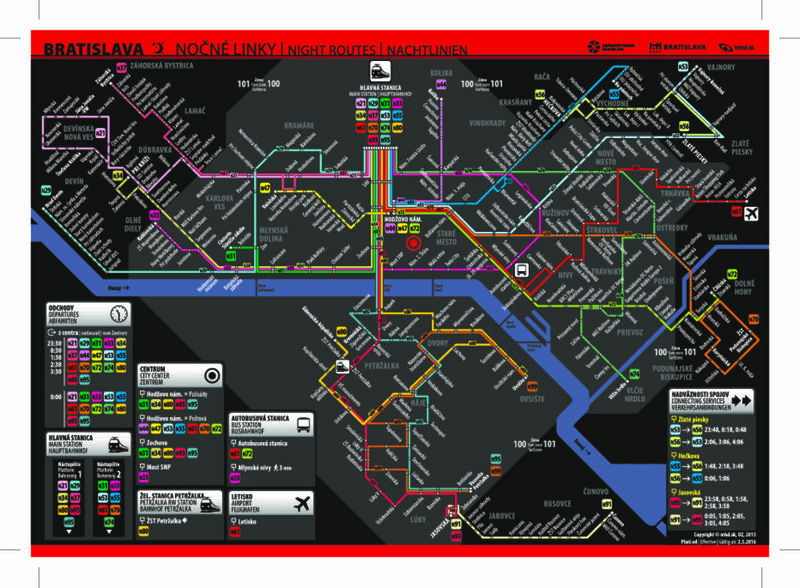 Public transport: trams, buses, trolleybuses and night buses. If necessary, you can also use a taxi. It is cheaper to order a taxi by phone than catch one at the station or stop it on the street. The minimum driving fee is around 5 EUR. We advise you to check the price before boarding the vehicle. Every taxi vehicle must have a visible price list in place and use a taximeter. Fancy active life? Try Bikesharing. Find information how to borrow one of the yellow bikes. However, cycling routes and dedicated cycling areas are mostly located along the Danube or in the outskirts of the city and are not yet interconnected. There will be several infopoints in Bratislava during the World Championship 2019, where fans can find all the necessary information about Bratislava and the World Championship 2019. Date Train Praha Main St. Pardubice main. St. Brno Lower St. Bratislava Main. St. Train Bratislava Main. St. Brno Lower St. Pardubice Main. St. Praha Main. St. Note: Special train IC 526 Macejko (Košice 23:17 – Bratislava Main St. 03:58) departs 10./11. V., 11/12. V., 13/14. V., 15./16. V., 17/18. V., 18/19. V. and 21./22. V. 2019, t. j. on days when the Slovak national team will play matches in Košice.